You are right that Wi-Fi routers and other devices pose a big threat too. But for those like me living near cell phone towers, our homes have levels similar to having a strong Wi-Fi router turned on all day and night throughout our entire home. Near my bedroom window for example, it is already 73 million times higher than Salzburg exposure limits for inside houses. I might as well be talking on a mobile phone 24/7 in my bedroom. It is disgusting. I despise the Government. But for those who do not live near a cell tower, you are right, your Wi-Fi router will be the biggest threat to you in your home along with other EMF devices wired or non-wired. These are hard to make out images however these are my EMF levels when the mast was turned off, as it was in these images, when the mast was off for repair work. There were men up high working on it and on the boxes near it on the ground. 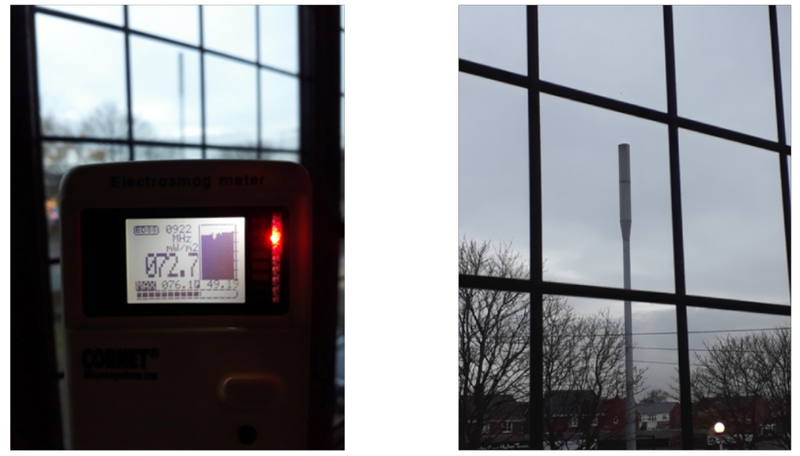 The levels i got with the masts turned off were around 0.0xxx mW/m2 compared to what i get near my window now: 5-90 mW/m2, it is an insane difference with on and off. 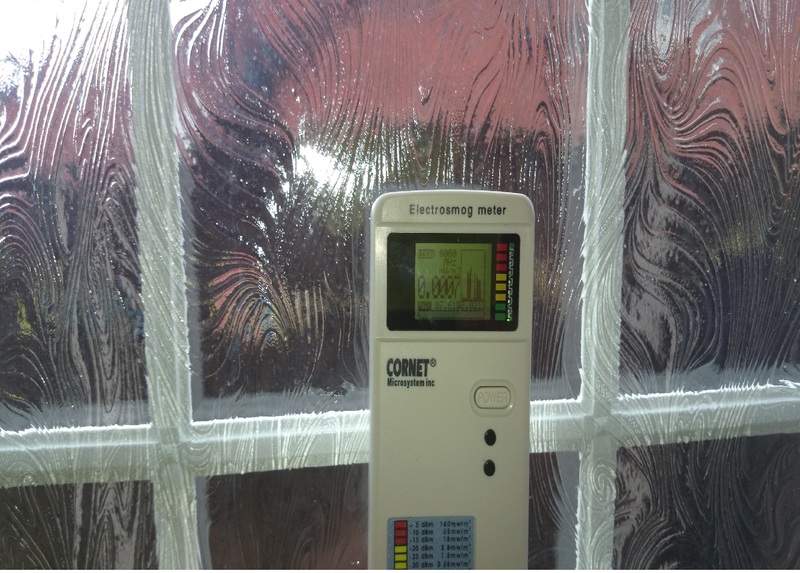 The levels with the mast off should technically be lower than what my EMF meter can show however other signals from neighbours Wi-Fi, cars driving past with radios/mobiles is being picked up by my EMF meter. 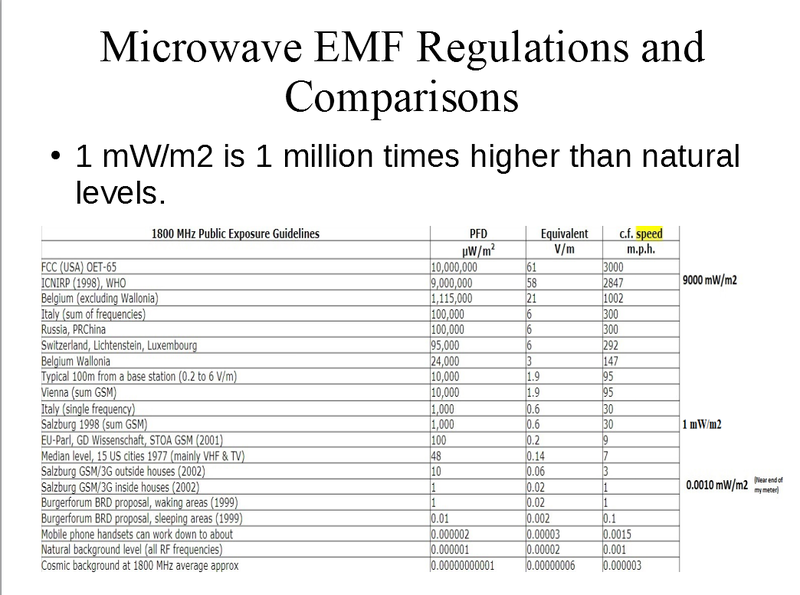 Also note that TV and Radio use microwave EMF too. However it is not just the microwave range of the EMF spectrum that poses a problem it can be other EMF frequencies like from electrical wiring and appliances that can also have a bad effect on us. The levels were much healthier when the mast was turned off. Back in 2010 the mast wasn't even there. edit on 21-11-2017 by jonnyc55 because: Wording. Ok, so i took a look at the "620 studies" link because it sounded like an attempt to shock people with numbers whilst relying on them not bothering to check the studies out. First study says absolutely nothing about harm from exposure. Second study literally says "this does not indicate need for alarm" in the abstract. I gave up after that because it quickly became clear that this was a Gish Gallop. Yes because the studies you read were labeled neutral (see my picture below, notice how the first two you checked are labeled neutral). The green ones show a clear effect, the green ones are my '620' figure. Green box studies show an effect, grey ones show neutral, and red show no effect. The key/legend is explained on that website. Here: Source for 620 peer reveiwed studies showing effects. Sorry. I can't edit my OP now and I should of put a link, it is in the picture however but the picture i made, the one you mention, was for a presentation last week which i did for an english class. I will ask a moderator if i can add this link to my OP. I regret using that image for ATS as it is a bit dramatic but was fine for my english presentation. It isn't totally incorrect though, i tried to estimate those study numbers by roughly counting them on that website for both, green (shows effect from EMF), grey (neutral) and red (shows no effect). What i was trying to do was point out that there is clearly some good evidence that makes it enough for cell towers to be held back from the public. The internet has lots of good studies showing cell tower radiation to be harmful and unwanted. * 2 beehives were unexposed and 2 beehives were exposed to a DECT base station (i.e. the equivalent of a mobile phone mast). * 25 bees were selected from each beehive and released 800 meters away. * Unexposed beehives: 16 and 17 bees returned after respectively 28 and 32 minutes. * DECT-exposed ones: 6 bees returned after 38 minutes to one hive. The other hive remained deserted. * In the exposed beehives, there were 21 per cent fewer honeycomb cells constructed in the hive frames after 9 days. edit on 21-11-2017 by jonnyc55 because: Added picture. Yeah i just made a post above yours on a bee study regarding wireless house phones. Wireless house phone base units work like a cell tower and operate on the same EMF frequency band. It is worse for animals and nature because they don't even use mobile phones, they are just left with negative effects. I don´t fear anything, I was merely pointing out some facts you got wrong. Just because I corrected you, does not mean I defend some kind of position here. You´re being irrational by thinking I fear something just because I made a neutral comment on the topic...I guess, nowadays you must be pro or contra, rep or dem, right or left, is that how far it has come with ATS? I bet it´s because of all this political bs going on since nearly two years. That´s why everyone constantly needs to put others into camps and groups and if someone disagrees, he must be from an "opposing" group. We need an honest government to set safety standards. Good luck with that.